Guerrilla marketing has made a massive footprint in the world and almost everything we see nowadays is all related to this tactic! It feels like it’s the new thing in town at times, but according to marketing and advertising history, this concept has been around since the 60’s. So what is guerrilla marketing anyway? “achieving conventional goals, such as profits and joy, with unconventional methods, such as investing energy instead of money’. Guerrilla marketing is a complete spin on what we call traditional marketing and mostly focuses on advertising and promotions. A conventional method of implementing guerrilla tactics is usually to be unexpected and unconventional, a paradox I know but there is a method in this madness! In general this is a concept which is usually very successful for small businesses that want to reach a large market without having to spend much. It has also worked for big companies campaigning new products or introductions of new brands. It has even been used by individuals that have embarked on this marketing tactic to find jobs or land new projects. Guerrilla marketing has been one of the most successful marketing tactics to be deployed. People love how it thrives on originality, but most of all its unlimited creativity, where imagination and ingenuity beat out big budgets. It’s a big thriller and it is so remarkable how it can even make up memories of one’s childhood, or even give something to remember for a whole life time. Guerrilla marketing has gone as far as to be culturally significant and a driver for trends and fashions. So the main hype and objective of guerrilla marketing is to create a unique, engaging and thought-provoking concept to generate publicity. 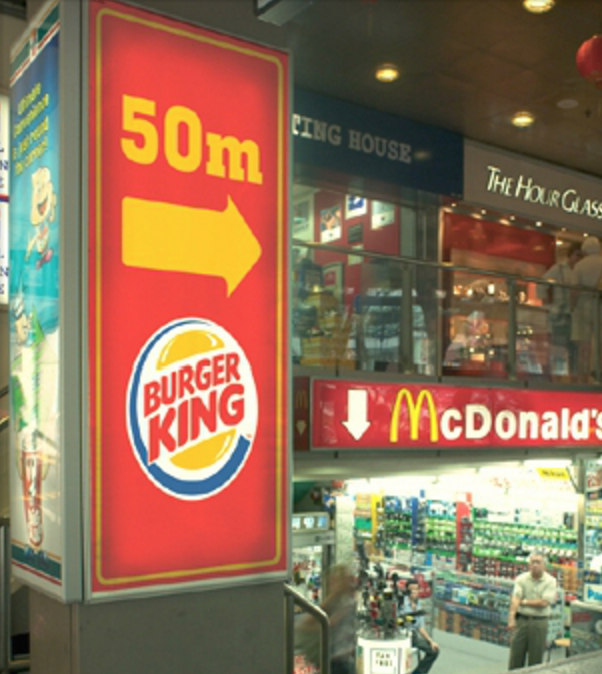 In 2005, just over a decade ago, Burger King implemented a guerrilla marketing campaign to increase their burger sales in Asia by alluring more consumers into Burger King restaurants. 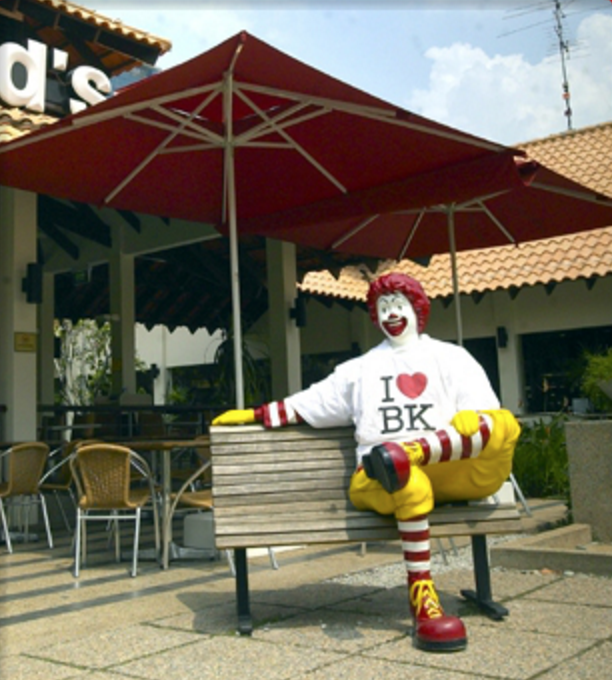 Burger King promoters decided to target their number one competitor McDonald’s by strategically placing branded Burger King items and t-shirts on Ronald McDonald statues. 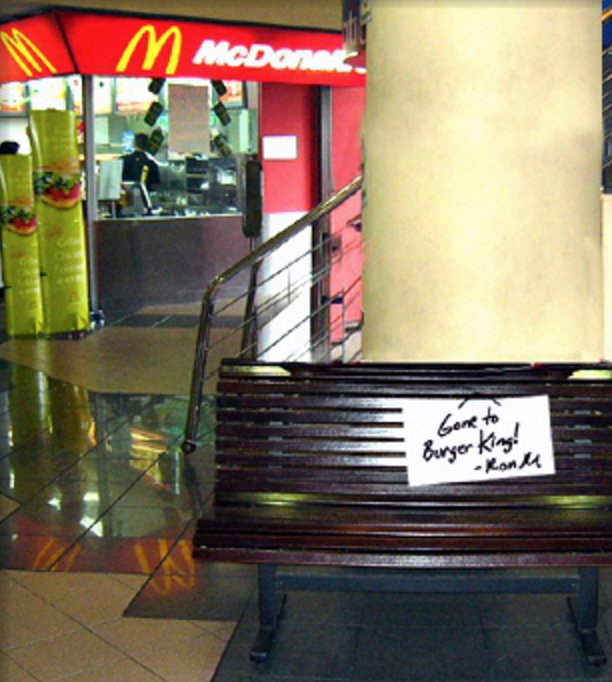 Furthermore, they planted large footprints from McDonald’s to Burger King, and put signs on empty benches that read “Gone to BK — Ronald.” Though abrasive and cut-throat, this guerrilla marketing technique rendered attention of Asian consumers… Talk about Return on investment! Guerrilla marketing has been predicted to be in the top ten most experimental marketing trends in 2016 and 2017. There is expected to be a tremendous impact with the use of Guerrilla marketing. Marketers have really acknowledged Guerrilla marketing and success. Guerrilla Marketing Tactics to try out! Below are three tips and tactics for guerrilla marketing to gain ground in your market. 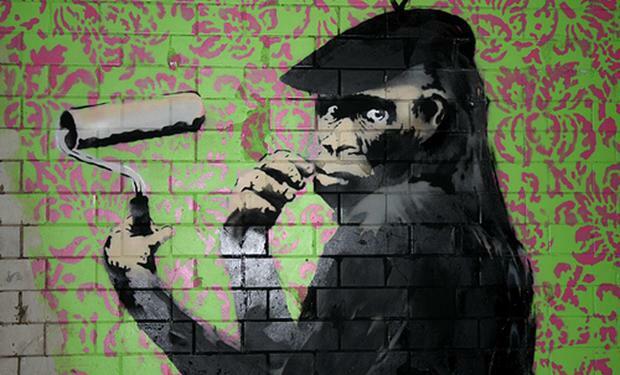 Banksy is a master Guerrilla, an artist with global recognition! Mostly due to his methodology than the art itself. Identify places with traffic and place your mark. This is a chance to be creative, the world is your canvas. Anything can be used, such as spray paint, chalk or posters, get sketching. If you cant do it your self, get someone else to do it for you, it needs to be captivating and original, the better it looks the more attention it will attract. Try to include (business name, contact information and a catchy slogan or question). In some cases this may be illegal and a desperate move, but its a solid tactic and can be extremely effective when implemented with creativity, innovativeness and almost no cost! What better way to get people’s attention than to throw a party in the name of your business? It’s a simple concept, yet effective. If people have fun and they relate it to your business, they will like your business. This tactic is all about giving! Everyone loves to get a little something for free, and the tradeoff should be “promotion”. This is how you create walking advertisement and people that will advocate your brand. In some cases this tactic has gone as far as to get people to tattoo a brand on their forehead. This unorthodox tactic is recognised to the point that it has an official name, Forehead advertising, and has been implemented by Toyota, SnoreStop, GoldenPalace, Air New Zealand and FeelUnique. Give freebies out that are unique and showcase your skills and also give some information on your business. Typical freebies include things like pens, t-shirts, hats, bags, magnets, stickers, office supplies, post-it notes, calendars, pens, mouse pads, notebooks, USB drives and bookmarks. The point of guerrilla marketing is to be different and original. Think about what you are going to do and make it relevant to your market and audience. If unconventional, unorthodox and innovative defines your approach; guerrilla marketing might be the route for you. Remember, what is unique about this marketing tactic is that it is targeted in unexpected places and creates thought-provoking concepts to generate publicity. If you can shock your target or make them laugh, people will remember you.